Mark Winterbottom’s title chances took a major blow at the Wilson Security Sandown 500, which the defending Supercars champ had flagged as a make or break weekend. With 300 points on the line, he and Dean Canto finished the horror day 23rd, meaning Winterbottom drops to fifth in the points and trails new leader Shane van Gisbergen by 346 with four rounds left in 2016. The event got off to a bad start Saturday with Canto handed a drive-through penalty after an incident in his co-driver qualifying race. Canto’s car was later given a post-race pit lane penalty for removing wheels on the grid, meaning they would start from 24th. 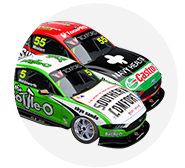 The team took a big risk early leaving co-driver Dean Canto out on slick tyres during the wet parts of the race – he almost made it home, crashing on lap 55, right before Winterbottom’s stint. 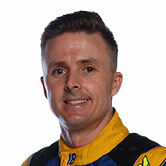 “The Championship – we may as well peel it off,” Winterbottom said post-race, referring to the #1 he earned as champion last year. “We’ll try and win Bathurst, try and win the next ones and push on – but we need a quick car, the car’s inconsistent. Despite a tough start ‘Frosty’ hadn’t written off a result in Sunday’s race, knowing full well many variables would play a part in the outcome. After making progress with his Ford Falcon FG X he had been determined to perform in his stint. He had his suit and helmet on ready to jump in the car when Canto found the tyres. “We’re just trying to get our speed back. Yesterday and the day before was really ugly so to actually get the car in that race then to see Dean doing good sectors was really promising, so I was looking forward to getting in,” he said. “It’s a long race when you’re two laps down. 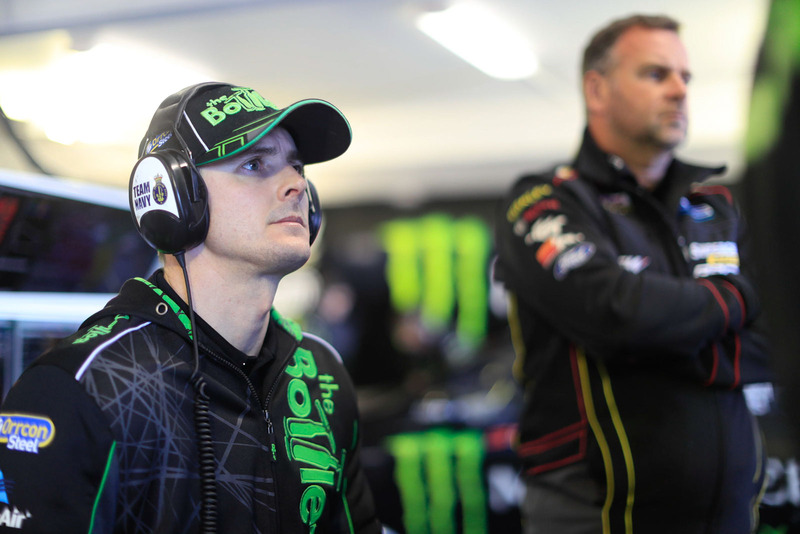 Being able to improve over a race weekend was a positive, but Winterbottom was adamant they needed to find the speed sooner, not on day three of three. “The car was really good, pace was really good so it was great we made the car speedy again, which it’s been lacking a bit. Winterbottom defended Canto’s driving from Saturday and felt they were hard-done by to receive a penalty, believing car #1 was hit in the rear. He didn’t say a bad word about his co-driver, who coming into the event he praised as one of the best out there. Now focused on Bathurst, Winterbottom believes Prodrive needs more consistency from the car. “We’ll be good on the hard tyre, we always have been, but the car needs to be more consistent. We can’t have two bad days and one where the car comes good – we need to get our act together there and get on it straight away.